Challenge Stockport Council’s fostering team we were looking to enhance our current advertising strategy, with our aim being to raise awareness of the amazing opportunities available with regards to fostering. Solution A 23 week campaign at The Peel Centre Stockport on the impressive back lit panels. 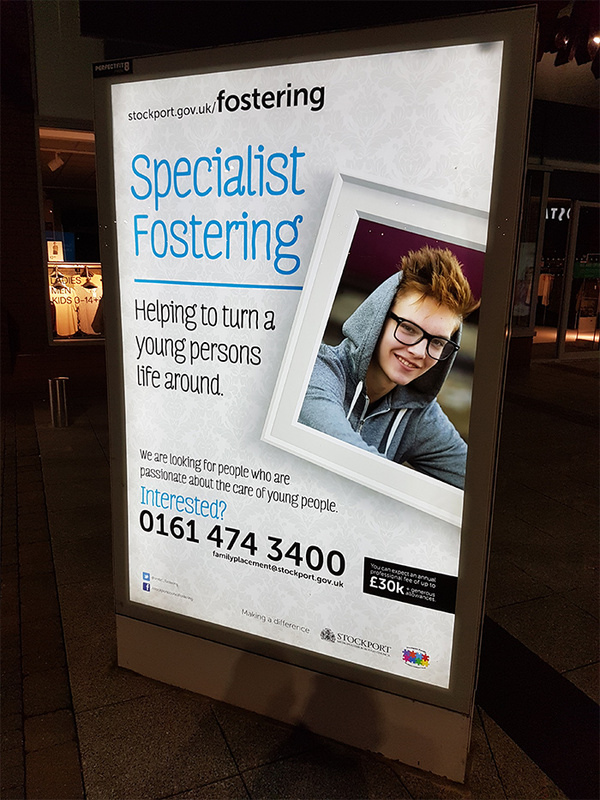 Result By advertising with Perfect Fit Media at The Peel Centre Stockport we were able to engage with Stockport families who visit the centre by promoting the benefits that surround fostering, thus aiding to the success of our awareness campaign.